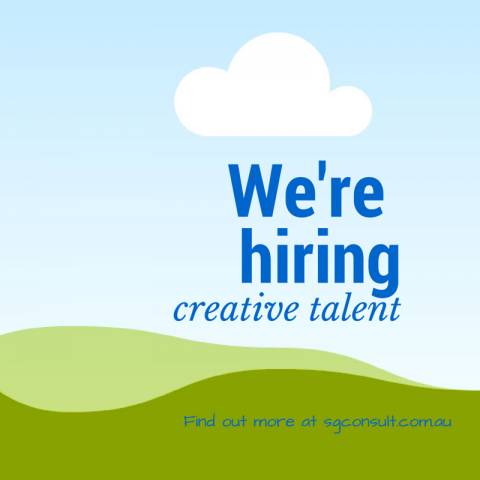 News We’re looking for creative marketing talent… is it you? We’re looking for a generalist marketing professional to complement our creative team. We’ve been experiencing significant growth and are looking for a generalist team member to join our creative team. The successful candidate will be willing to get involved in all aspects of marketing communications and digital strategy. You will have a marketing, PR, journalism or other relevant commerce degree and will be looking to learn new skills. Passionate about writing, you will be able to demonstrate strong potential for creative writing, both in a technical and commercial context. This is a role designed for growth, initially working on a part-time basis, you will be keen to learn and will be closely mentored by our founding Director across many disciplines. You will be social media savvy and have a keen eye for detail – you will be able to think logically and problem solve. This role is suited to someone looking to put theory into practice, either a recent graduate with proven work experience and exceptional writing ability, or a proven marketing professional looking to work on a part-time or contract basis.